Add to a contemporary dining room or living room with the Amish Lillie Buffet. Lillie is squared, clean lined chic, with plenty of storage for dining room essentials or anything else you'd like to store. The Amish Lillie Buffet is shown here with an elm wood top and brown maple frame. 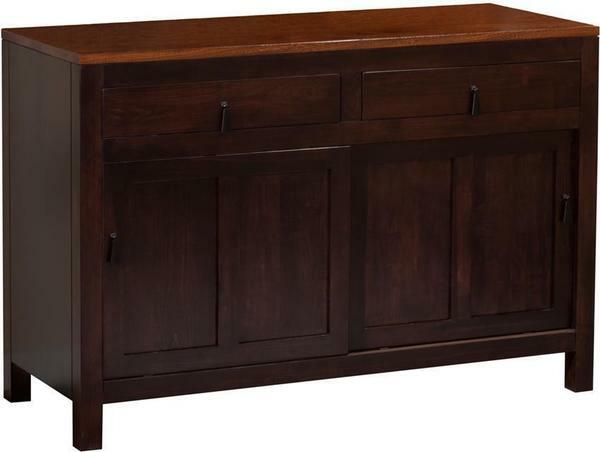 Solid wood buffets have become quite versatile pieces of furniture, serving in dining room, living room or hallway. You can customize yours today with all the options at your fingertips. Please email or call a member of our team with any questions. Thank you for shopping with DutchCrafters.